There are a number of free email services such as Yahoo, Gmail, Hotmail and AOL that are easy to sign up for and simple to navigate. If you use one or more of these accounts in your personal life, you may be tempted to extend their use to professional communications with leads, prospects and purchasers. Don’t be tempted; you could be driving a wedge between yourself and your audience, or missing out on sales opportunities altogether. Just last week, Yahoo implemented new programming that renders email illegitimate if it does not originate within the Yahoo infrastructure. This means that if you create a Yahoo email address for the sole purpose of sending mass mails from email marketing platforms like Lasso, then your email will always bounce. Other major email providers are expected to follow suit. 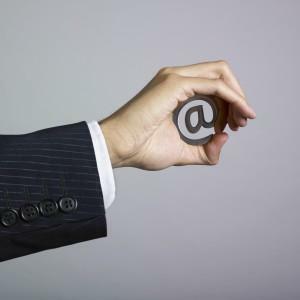 People are more likely to open emails from names and organizations they recognize. Additionally, folks are expecting relevant, informative emails if they’ve opted-in. If a prospect has just registered on your site, and your community is top of mind, they are much more likely to open an email if they recognize the community name. The same applies to walk-in prospects. If you’ve spent an hour with someone in the sales center delivering an impactful sales presentation, including positioning your community or builder as the best choice, then follow up from your personal Gmail account, your branding efforts could fall flat. All of your marketing channels (including email) should be uniform and consistent to reinforce your brand. Anyone can sign up for a free email account. But using a corporate email address establishes your professional affiliation with your company or community, and helps to position yourself as a new home authority. Anti-Spam laws in the U.S. and Canada require that mass marketing emails include accurate header information, including identifying the sender and organization in the “From” field. Read more about the CAN-SPAM Act (U.S.) here. Read more about CASL (Canada) here. With email playing an increasingly important role in most consumers’ lives, tougher new home competition, and email marketing stats on the rise, it’s important to maximize every point of communication to avoid missed opportunities. If you need help with setting up corporate email addresses in Lasso, contact Lasso Support at support@mylasso.com or 1.866.995.2776. Special Characters in Email Subject Lines – Yes or No?